Citigroup is the third major bank to report and the third to report a hit from the slowdown in mortgage lending. Citigroup is the latest big bank to disappoint investors. The company reported third quarter profits and revenues Tuesday morning that fell short of analysts' expectations. Shares of Citigroup (C) fell more than 1% in early trading. JPMorgan Chase (JPM) and Wells Fargo (WFC) both dipped slightly on Friday after reporting results that failed to excite Wall Street. Despite the earnings miss, Citigroup CEO Michael Corbat said in a press release that the bank "performed relatively well in this challenging, uneven macro environment." Corbat touted the company's cost cutting, but the quarterly results show that Citigroup is having trouble trimming costs quickly enough to compensate for declining sales. Citigroup's revenues dropped 5% from the same period a year ago, while its expenses were down 4%. Revenue and profits at Citigroup's consumer banking franchises and its trading and investment banking units fell in the third quarter. The rising interest rate hit: The spike in interest rates over the summer caused a slowdown in new mortgages and refinancings, as well as bond trading. Citigroup noted that it took a big hit from the slump in mortgage lending. In North America, mortgage lending declined by 20% from last year. The bank's bond trading unit reported a 26% drop in third quarter revenues compared to last year. Citigroup is often deemed the world's financial supermarket because it caters to consumers and investors in all corners of the world. In the third quarter, that global footprint hit earnings, as revenues and profits in its consumer banking operations plunged in most corners of the world. Chief financial officer John Gerspach noted the "high level of volatility in emerging markets" during the third quarter in a conference call with reporters. He said those regions took an outsized hit from worries over whether the Federal Reserve might cut back its bond buying program. The Fed wound up holding off on so-called tapering for now. But the damage was already done in markets like India, Brazil and Indonesia. Citigroup continues to shrink the size of its so-called bad bank "Citi Holdings" -- which owns toxic assets from before the 2008 credit meltdown. During the third quarter, Citi Holdings' assets declined 29% from the prior year. But with $122 billion in assets remaining in the unit, it will take more time to completely exorcise Citi's financial crisis demons. The key third quarter numbers: Citigroup reported $1.02 per share in third quarter earnings on $18.2 billion in revenues. Analysts were forecasting a profit of $1.04 per share on $18.74 billion in revenues. 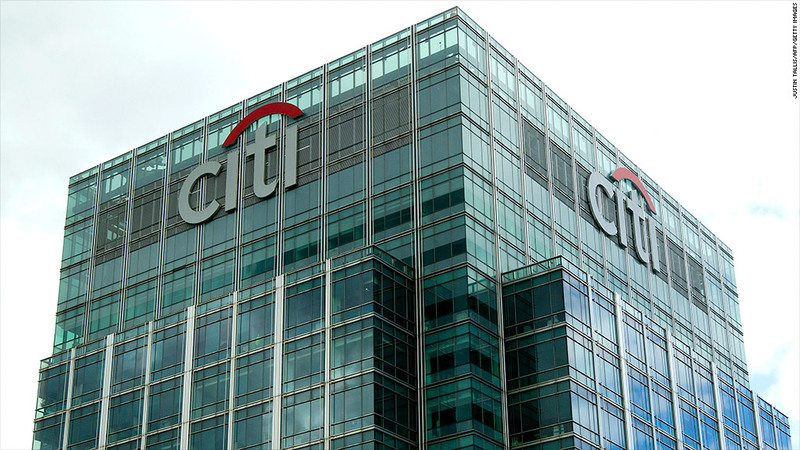 Although the stock was set to fall on Tuesday, Citigroup's shares are still up 25% this year. Big bank stocks in general have been helping to lead the market higher. And we're now about halfway through third quarter earnings season for big banks. The remaining three Wall Street giants -- Bank of America (BAC), Goldman Sachs (GSABX) and Morgan Stanley (MS) are due to report results later this week.